These cookies were an experiment. I decided to try to have another attempt at sugar-free as all the things I’ve made so far have either had a bit of an aftertaste from stevia or the cooling sensation from erythritol or xylitol. I think these are actually very tasty and I was happy with the sweetness. They didn’t taste artificial at all and I used such a small amount of erythritol that they didn’t have the usual cooling sensation. Along with the erythritol I used Lo Han Guo, which is a non-caloric sweetener made from a ground fruit. I haven’t used it half and half with another sweetener before and was worried the aftertaste would be very strong, but it really isn’t at all. I also decided to experiment with a mixture of nut flours. I generally stick with almond flour as I have it on hand, so it’s quick and easy. But today I ground up cashews to make a cashew flour. I’m really pleased with the texture and flavour this gave the cookies. They’re a little softer than an all almond flour cookie and I think the cashew added a little sweetness. I know I would have really liked some sort of dried fruit such as raisins or dates, but since I was trying to make these as low GI as possible, I decided against those. 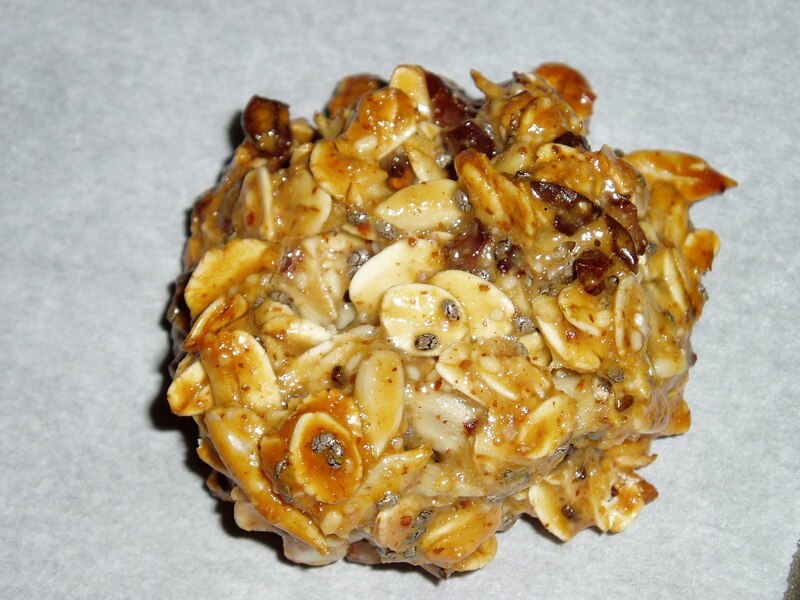 I used Dandy Blend instead to give them a coffee-like flavour and raw cacao nibs in place of chocolate chips. All in all, I’m very happy with the result of this experiment. I’m looking forward to trying other flavours and combinations to come up with different cookies. Maybe I’ll try using some cocoa next time. To a large bowl, I added 1 cup of almond flour. Then I added a cup of ground cashews (measured after grinding). 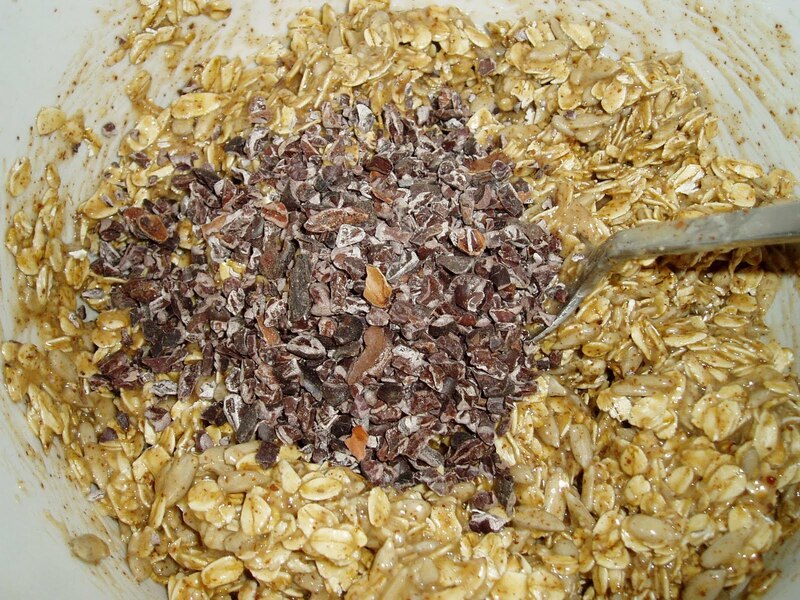 I added 1/4 cup raw cacao nibs and 1/4 cup chia seeds. And 2 tbsp. erythritol, 2 tbsp. lo han guo, 1/2 tsp Himalayan salt & 1/4 cup Dandy Blend. Mixed the dry together then added 1 local organic duck egg (what I had on hand) & 1/4 cup melted virgin coconut oil. Then mixed it all thoroughly. Dolloped onto a parchment-lined cookie sheet and baked at 350F for 12 minutes and cooled on a wire rack. 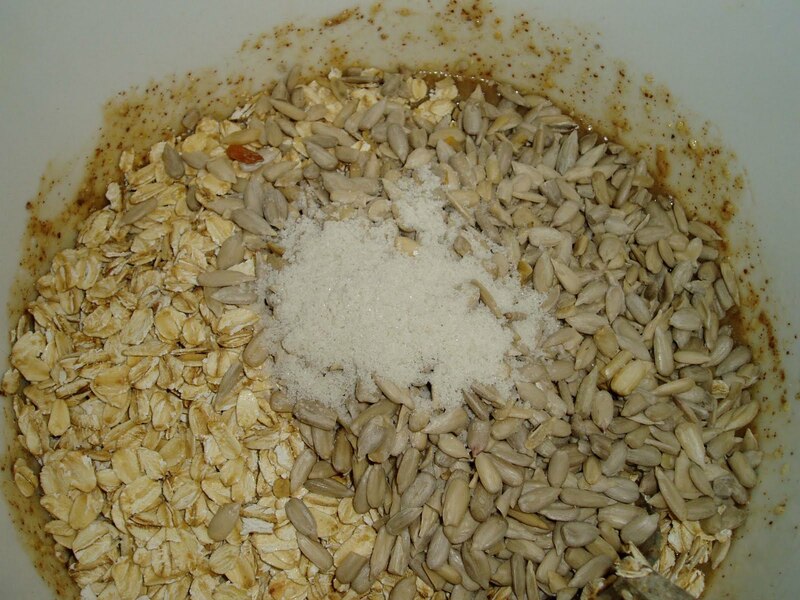 In a large bowl, mix together all dry ingredients. 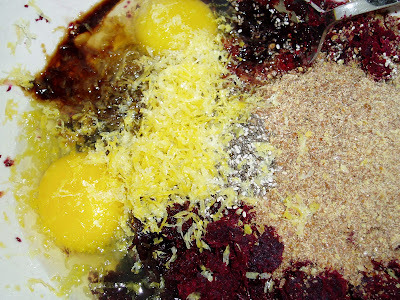 Add eggs and oil and mix until well-combined. Onto parchment-lined cookie sheets, dollop mixture by the tablespoonful. Use a wet fork to press down the tops of the cookies. Bake for 12 minutes. Remove from oven and after 5 minutes, remove to wire rack to cool. Last night I was honoured to be a part of Johanna Quinn’s charity event, ‘Beautiful You’ dedicated to celebrating women and our beauty. Johanna did a wonderful presentation and discussed the role of the media in how we perceive ourselves. It was truly eye-opening and I had lots of “Yep, that’s the way I think” moments during her speech. I was thrilled that Johanna asked me to be a part of the planning of the event and that I could contribute some yummy and healthful goodies for the ladies to snack on while mingling and getting to know each other. All proceeds from the free event went to Free Them which is a charity near and dear to Johanna and her husband Jeff’s hearts. It was a great turnout and a wonderful time was had by all. Can’t wait for Johanna’s next fundraiser (similar to this one). As promised, here are the recipes for the treats I made. 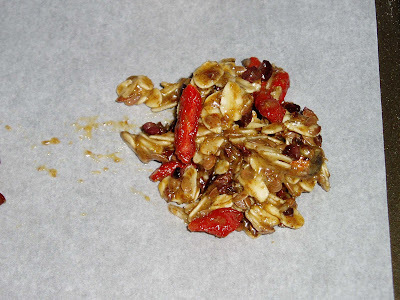 · Preheat oven to 350F and line a cookie sheet with parchment paper. 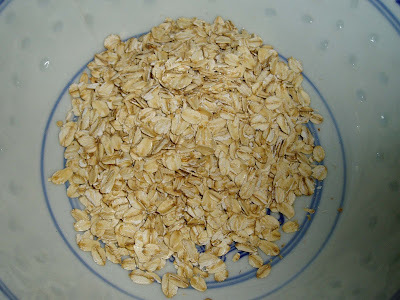 · Blend oats in a food processor until flour-like. 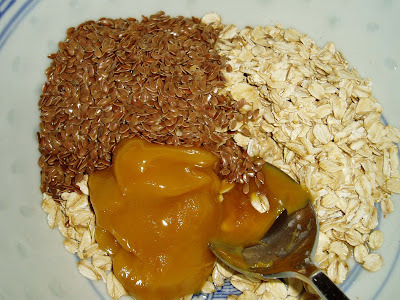 · Add oil, syrup and flax and blend until smooth. 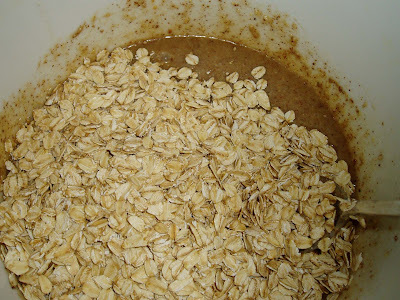 · Transfer to a large bowl and mix in remaining ingredients. 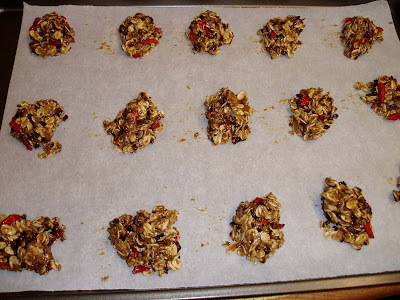 · Drop teaspoon-sized amounts on cookie sheets (2 inches apart). · Bake 14 minutes, then transfer to wire rack to cool. 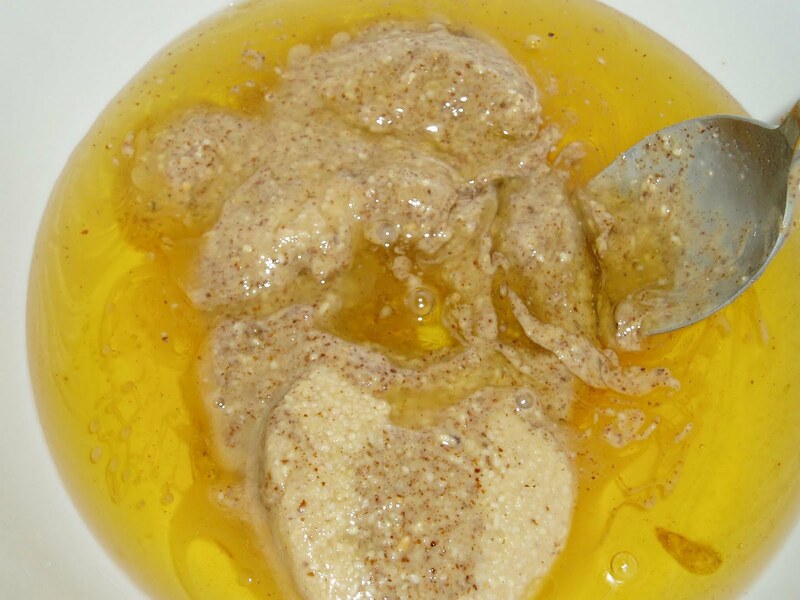 · Cream almond butter and coconut sugar in the bowl of a stand mixer at medium speed for about 2 minutes. 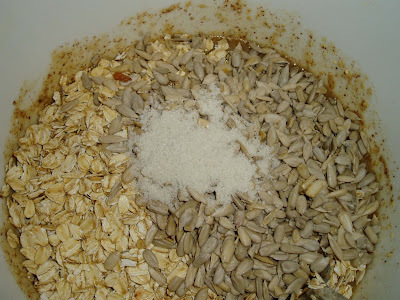 · Add eggs and mix for another minute. 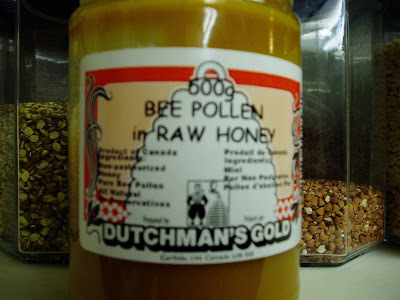 · Add the rest of the ingredients and mix until well-combined. 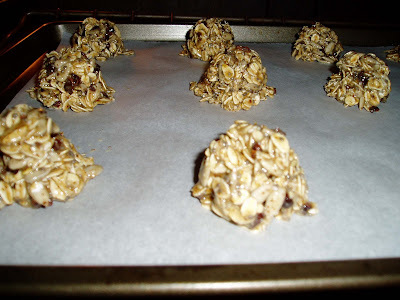 · Using a 1 tablespoon cookie-scooper, scoop mounds of dough onto 2 parchment-lined cookie sheets. · Flatten dough with your hands (no need to worry about them being close together as they won’t spread). 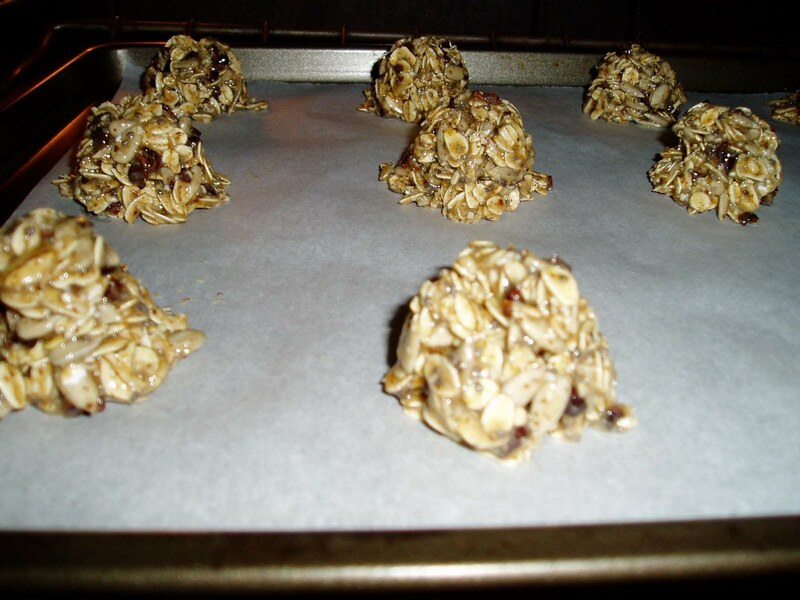 · Bake for 14 minutes, rotating cookie sheets halfway through baking time. · Preheat oven to 350F. 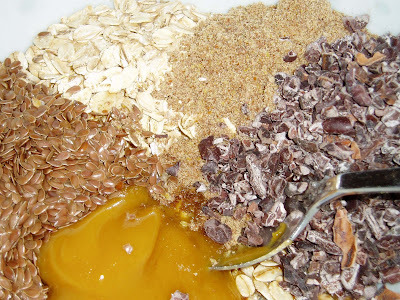 · In a large bowl, mix all ingredients until well-combined. · Dollop, using 2 teaspoons onto parchment-lined cookie sheets. · Bake for 15 minutes and then allow to cool for 5 minutes. · Remove to wire racks to cool completely. · In a large bowl, mix all ingredients together until well-combined. 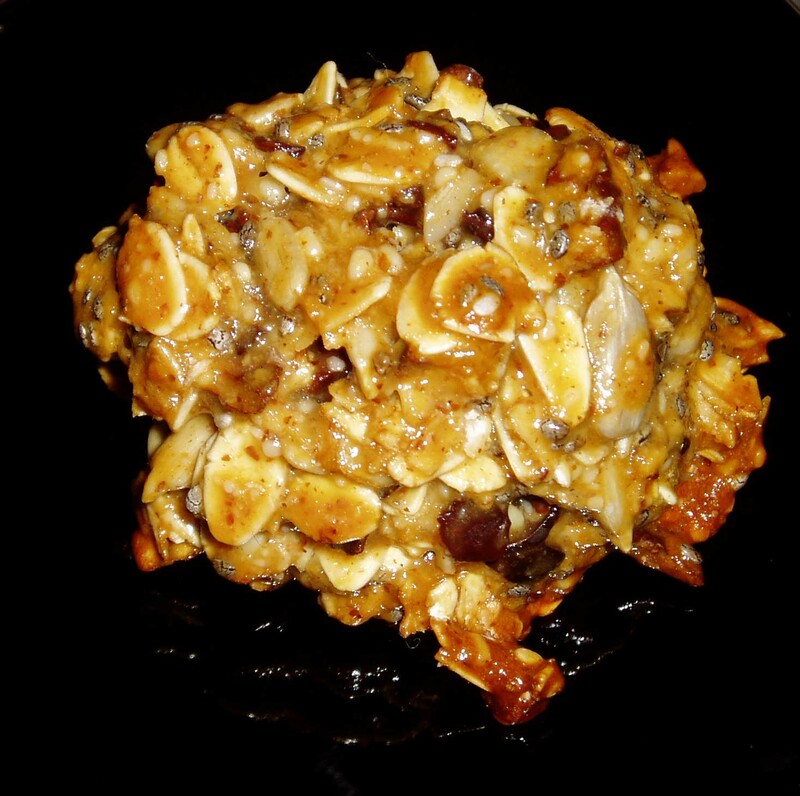 · Onto 2 parchment-lined cookie sheets, dollop mixture using a tablespoon-sized cookie scooper. · There’s no need to leave space between cookies as they do not spread. · Bake for 16 minutes, rotating trays halfway through baking time. 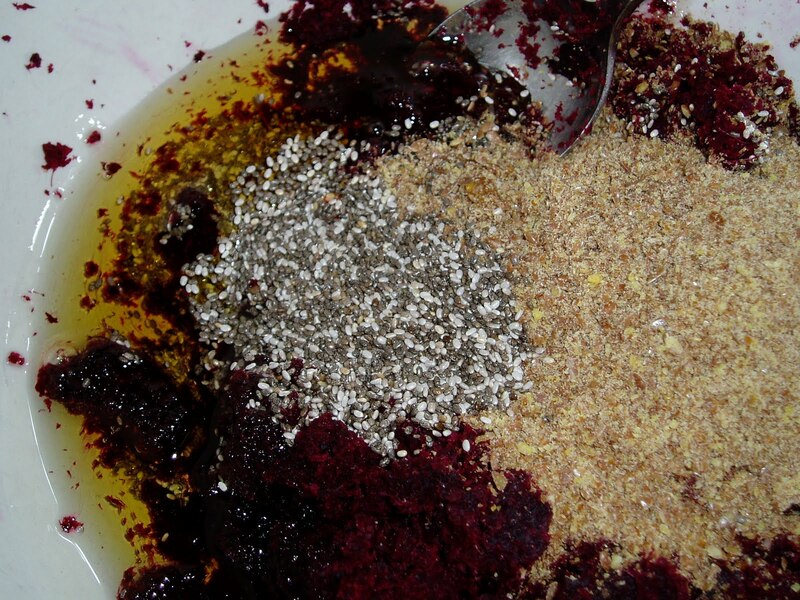 · In a large bowl, whisk together egg, honey and salt. · Stir in coconut flakes and cocoa until well-mixed. · Using a cookie scooper, scoop onto parchment-lined cookie sheets. · Bake for 18 minutes. · Allow to cool on wire racks. 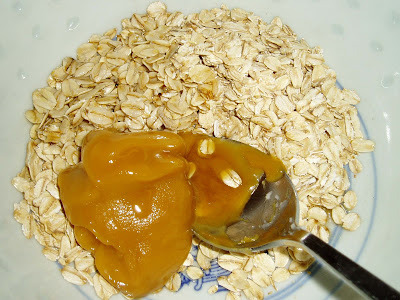 · preheat oven to 350 F.
· In a large bowl, mix together coconut oil and maple syrup. · Add vanilla, lemon juice and zest and mix. 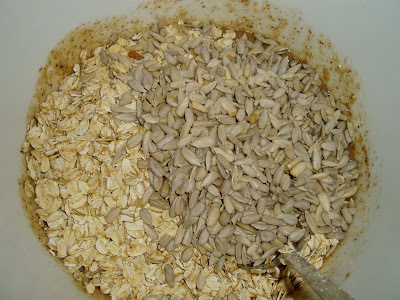 · Add flaxseed, brown rice flour and lavender and mix until well blended. · Using 2 teaspoons, dollop onto a parchment-lined cookie sheet. 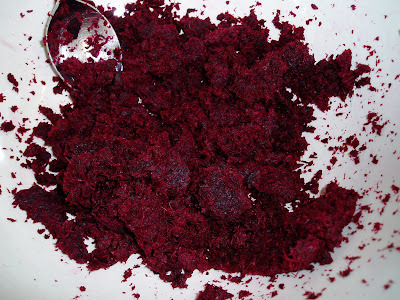 · Bake for about 18 minutes or until set. I have been a big fan of this blog for a few years now and was excited when I saw this recipe (clearly their photography isn’t done with an iPhone lol). I knew it would be a winner, so I decided to give it a try today. I doubled the recipe because I wanted to share the cookies. They took all of 5 minutes to put together, so this is definitely one of those recipes you can whip up at the last minute when you’re craving a sweet treat. The only change I made was to ‘up’ the amount of ginger and sub. cinnamon for the cloves (Perry is not a fan of cloves). They are absolutely scrumptious. I mixed together 1/2 cup coconut oil and 6 tbsp. of maple syrup. Baked them at 350F for 16 minutes, rotating the trays after 8 minutes. Then left them on the trays for 5 minutes before removing to a wire cooling tray. 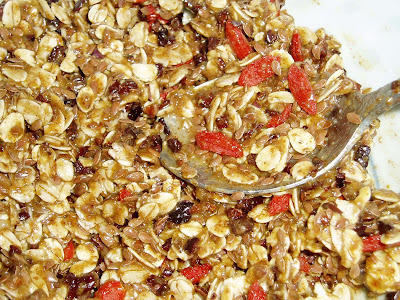 I decided to make some protein bars for Perry to take to work for breakfast on Tuesday. I figured since it was going to be Valentine’s Day, I’d make a few of them heart-shaped. The shape wasn’t quite as perfect as I’d hoped, but I was very happy with the flavour and texture. I found this recipe and thought it sounded like a winner. It had just about everything I was looking for, so I only had to change a couple of things. 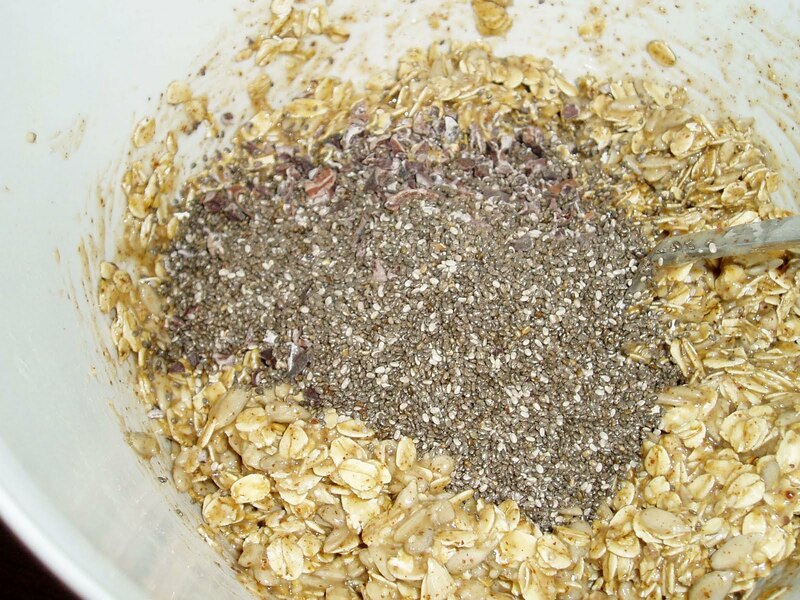 I put 2 cups of almonds and 1/4 cup ground flax seed into my food processor. Didn’t worry too much about the flax being completely ground up. plus 1 teaspoon Celtic sea salt, 1/2 cup hemp hearts and 1/4 cup chia seeds. Then I processed it, but left it a bit chunky. and 1/3 cup raw cacao powder and processed the whole lot. Then, in a medium saucepan, I gently melted 1/4 cup virgin coconut oil then added the contents of the food processor as well as 1/2 cup almond butter. I mixed it all together and scooped it into silicone heart-shaped molds. Then I topped them with melted 70% cocoa chocolate. I popped them into the freezer for an hour and voila! Yet again, I have Meghan Telpner to thank for this fantastic recipe!! I changed it a little bit because of what I had on hand, but kept to her recipe for the most part. I LOVE these cookies!!! I was so sure they were going to be dry and not so appetizing, but they’re delicious. They’re moist and a little sweet, but not over the top. I will make these again and again.Meghan’s recipe is for muffins, but I followed her directions to turn them into cookies. Used my tablespoon-sized cookie scooper to put them onto a parchment-lined baking sheet, flattened them with my hand and baked at 350F for 20 minutes. 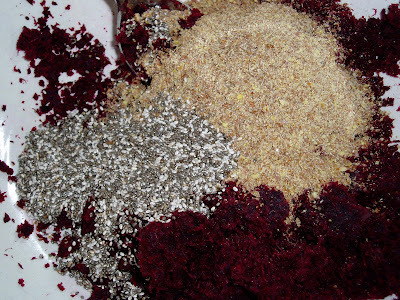 To a large bowl, add pulp, ground flax, chia, honey, vanilla, eggs and zest. 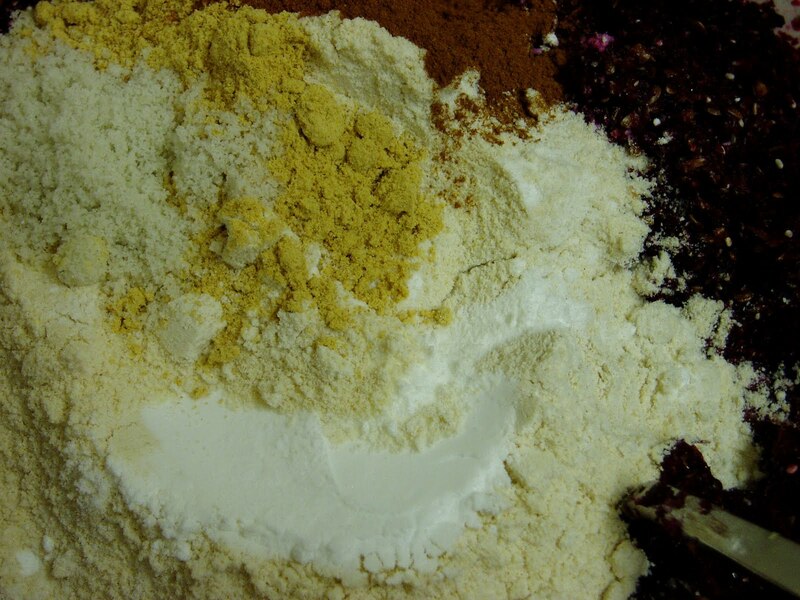 Add flours, spices, baking powder, baking soda and salt and mix again. 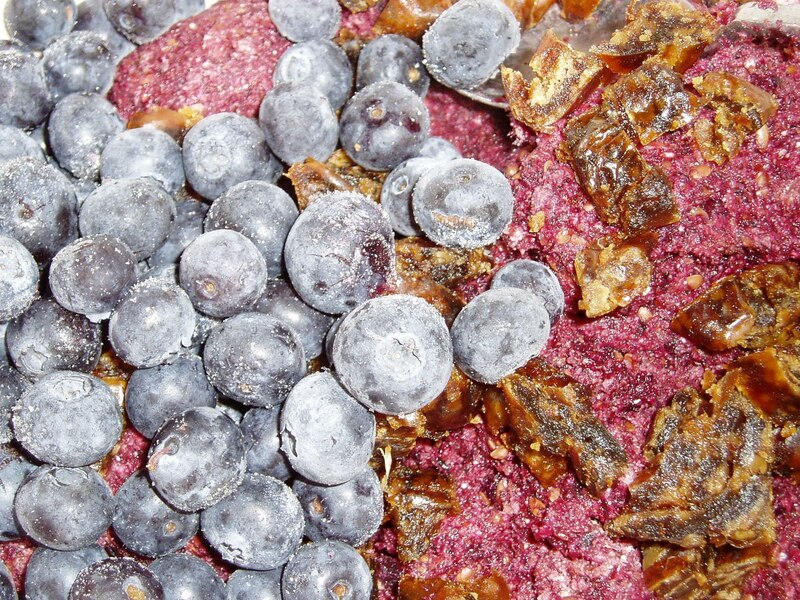 Add blueberries and dried fruit and mix once more until well blended. Scoop by heaping tablespoonsful to 2 parchment-lined baking sheets. Flatten with hand and bake at 350F for 20 minutes. 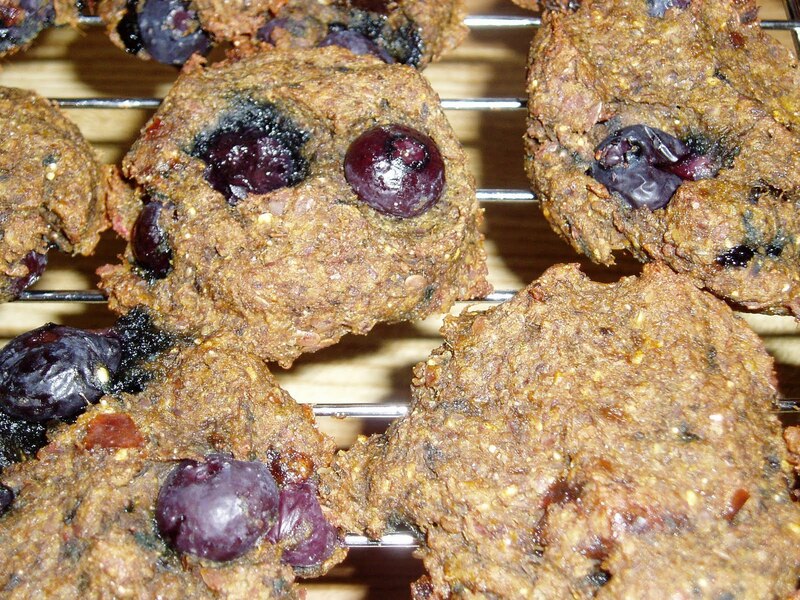 Cookies that taste good and are actually good for you! I don’t have much of a sweet tooth, but in the evening I tend to want something sweet and usually go for some chocolate with 70% cocoa. I enjoy it, but sometimes I’d like something else without resorting to something that’s full of sugar and unhealthy fats. I baked them at 350F for 16 mins., rotating the cookie trays halfway. *Update!! 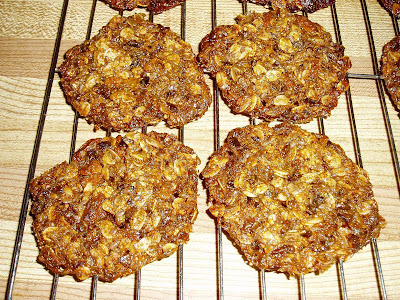 * I remade these cookies yesterday with a couple of changes and they’re soooo good! I melted a 100g 70% cocoa chocolate bar with 2 tablespoons of coconut oil and mixed it into the batter. I also used a mixture of sunflower seeds, pumpkin seeds and slivered almonds instead of all sunflower seeds. Meghan Telpner strikes again with yet another delicious, healthy recipe for me to enjoy. I saw this picture of these cookies on her website. and just knew I had to try them. They were even better than I imagined. 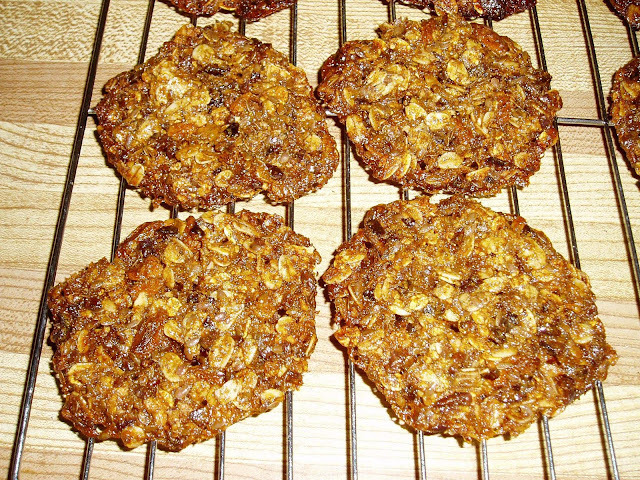 They remind me of those lacy, syrupy cookies that are crispy and sweet. But these cookies are chock-full of goodness. 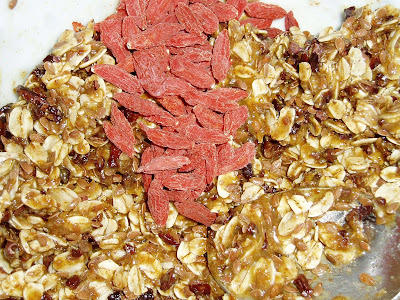 Look how colourful the goji berries are!! Dollop heaping tablespoons of mixture onto a parchment-lined cookie sheet. Allow to cool on sheet for 5 minutes and then transfer to wire cooling rack.